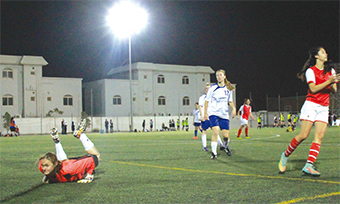 Venus extended their lead at the top of the table beating RCSI and looked comfortable winners in the fixture, killing the game off in the first half with Fatema Mahmood notching two of the three goals that took the two teams in at the break with Venus 3-1 up. The second half was a stalemate with both teams going through the motions with neither ’keeper being tested. With Venus now recording three back-to-back wins they sit comfortably on top with a three-point cushion and a game-in-hand over second-placed Seef. 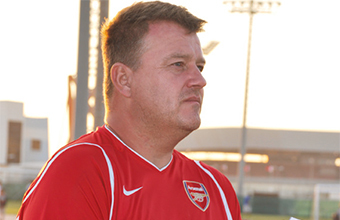 Seef could only manage a second draw in a row with a 1-1 scoreline against Arsenal U21s. This week Arsenal Ladies aim to get back to winning ways as they take on RCSI, still to secure their first three points of the campaign. Joga hope to leapfrog over the Arsenal U21s when the sides come face to face but in a season where we have already had a record amount of draws, there’s a good chance that could also end the same way.